← Volunteer Firefighters Fill A Need — And Need You! 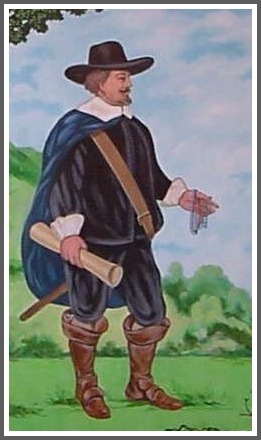 In 1653, Roger Ludlow* — one of the founders of both the colony of Connecticut and the town of Fairfield — accused Mary Staples of being a witch. Staples was Ludlow’s neighbor. Her husband Thomas sued Ludlow for slander. Ludlow was fined 15 pounds. Mary Staples was the great-great-great-grandmother of Horace Staples. 231 years later, he founded Westport’s high school. Ludlow was the namesake of Fairfield’s first high school, and a middle school. This Saturday at 7 p.m., Fairfield Ludlowe High School hosts Staples High in a boys lacrosse game. The winner will receive a witch’s broom, commemorating the rivalry between the high schools and their famous ancestors. Who will win? No one knows. But it should be a great game. The Wreckers are 9-2; the Falcons are 7-2. Yet one thing is certain: When they first met in 1653, Mary Staples trounced Roger Ludlow. *It’s unclear from his signature whether he spelled his last name with or without an “e.” Both schools named after him include the letter; most historical references do not. 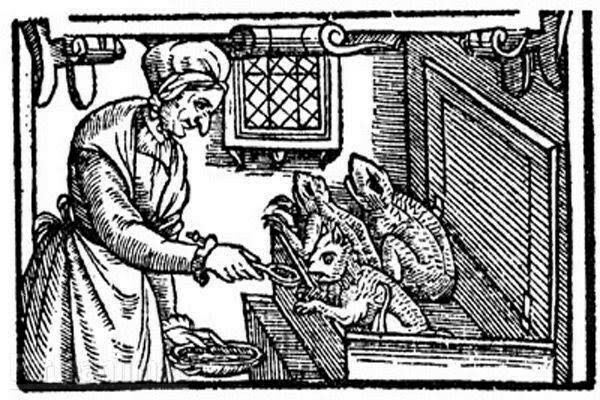 This is a witch — not Mary Staples. She was acquitted of the charge. This entry was posted in History, Sports, Staples HS and tagged Mary Staples, Roger Ludlow, Roger Ludlowe High School, Staples High School lacrosse. Bookmark the permalink. Roger Ludlow left Fairfield after the incident to settle in Norwalk. Arline, I was there the night in 1966 Calvin Murphy scored 53 points against Staples—and this was long before the 3-point shot was in effect (although I’m pretty sure some of Calvin’s long-range bombs were beyond today’s 3-point line). As a 7th-grade diehard basketball fan, that was an incredibly exciting performance to witness—and it remains right up there as one of the most spectacular athletic performances I have ever seen in person at any level. PS—and our senior year of high school (1970), the Staples soccer team crushed Norwalk 5-0 in the county championship game, which is still the most margin of victory in FCIAC soccer history. PPS—I believe the nickname “Wreckers” comes from Staples having “wrecked” the Norwalk football team’s long winning streak. Great story! I’m a Staples grad with a current Ludlowe D-pole! Hope it’s a fun, competitive game!